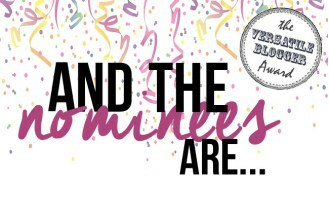 A little too long ago I was nominated by the lovely Brittany for the Versatile Blogger Award, which I have to say is a huge honor. Thank you so so much Brittany! You guys have to go check out her blog KingdomofSequins, it´s fabulous. I love all her outfits and she really posts fun stuff! So finally I´m getting around to doing this! Yay! First off, seven facts about me. This was kind of hard at first, because I was thinking about what on earth I was going to write. If you know me, I´m the person whom you can talk to for hours and know me for years and still be surprised by things I tell you about myself. If you know what I mean. For these seven facts, I decided to settle for some random things about me that just popped in my mind. My taste of music ranges all the way from Country Music to Pop and ABBA. I love Taylor Swift, HAIM and Ed Sheeran. There are some, ok…A LOT of songs where I will just go crazy or melt away when I hear them. Short: I am a music-lover. Another thing to music: I play the violin. Thank the person who gave you this award and include a link to his or her blog. 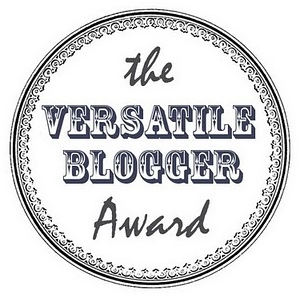 Nominate those fifteen (15) bloggers for the Versatile Blogger Award, including a link to the originalVBA site. Finally, don’t forget to tell the person who nominated you seven (7) things about yourself. All of you have amazing, inspiring, fun, beautiful, honest, … blogs. You deserve this award! I hope you enjoyed this and until next time! Congrats on your award! That’s fantastic! So fun getting to know more about you through this post! I also am a huge music lover- concerts are my all time favorite pass time! Thanks:-) Yesss! Concerts are the best! Do you play an instrument? What´s your favorite genre? Do you have a favorite band/singer? Ohh. I love the guitar! I played it for two years, but I quit and now I can´t play it anymore. Oh yes, the mood plays a major role when you choose to listen to music. Thank you so much for the nomination! You’re so sweet:) I’m honored to be on a list with such wonderful voices! and congrats to you!! hugs to you, friend!